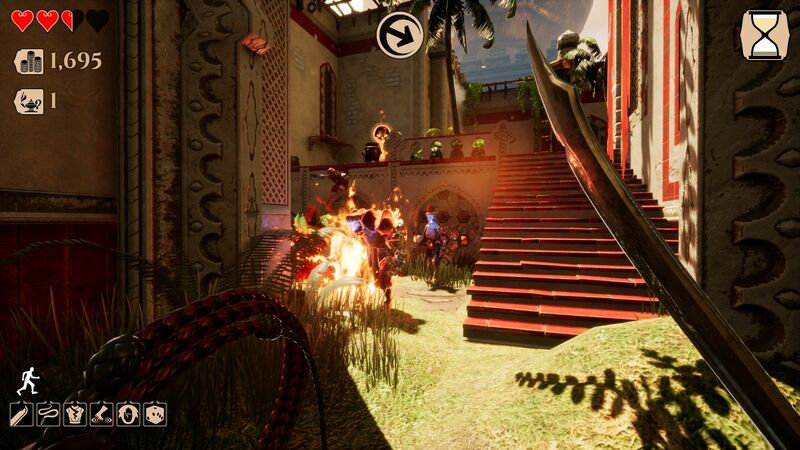 City Of Brass leaves Early Access. The Early Access journey that City Of Brass embarked on back in September is now over. Players can now explore the entire titular city inhabited by many a cursed soul and laden with deadly traps ready to keep would-be thieves away from its riches. Players take control of a protagonist which wields both a scimitar and a whip allowing for a mixture of good old slashing, stunning, tripping and disarming enemies from a distance. With procedurally generated levels and the Blessings and Burdens system, which allows for tweaking difficulty, replayability is one area the title focuses on. The full version added the final boss fight, Twitch and Mixer integration, alongside a variety of tweaks following community feedback. You can see the full list of changes here. There's also a release trailer to check out. City Of Brass is now available on PC, Xbox One and PS4 for the price of $19.99 or your regional equivalent. PC users who bought the game during its Early Access phase were rewarded and exclusive weapon skin alongside the game's soundtrack, as the game's price was reduced in the transition. Give our City Of Brass review a read.